Lara Croft Tomb Raider: Legend is the seventh game in the Tomb Raider series, and one of the most successful game title of the series. Tomb Raider: Legend features new character animations and control schemes compliment the more natural character design and level details for the most immersive chapter in the series. Lara Croft also packs modern devices such as a magnetic grappling device, binoculars, frag grenades, personal lighting device and communications equipment for her all-new adventure. 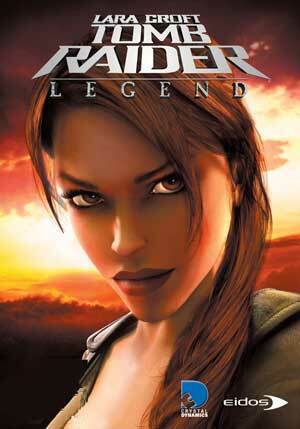 Cheats appear in the Specials menu and the buttons are respective to your version of Tomb Raider: Legend. In order to activate the cheat codes, Lara Craft Tomb Raider: Legend players must follow certain procedures during regular game play, and cheats will be unlocked when players clear the game or meet the following summary criteria. For specific instructions for each gaming platform including PC, Xbox 360, Xbox, Sony PS2 and Sony PSP, visit the subsequent pages. Textureless Cheat … Clear the game (any difficulty). Show enemy health … Clear Bolivia under 12:30 in Time Trials. Infinite MG415 Ammo … Clear Peru under 21:30 in Time Trials. Infinite RC650 Ammo … Clear Japan under 12:15 in Time Trials. Infinite shotgun Ammo … Clear Ghana under 20:00 in Time Trials. Infinite grenade launcher … Clear Kazakhstan under 27:10 in Time Trials. Bulletproof Lara … clear England under 27:00 in Time Trials. One hit deaths … Clear Bolivia (stage 8 (eight)) under 4:15 in Time Trials. Unlock Excalibur … Clear Nepal under 13:40 in Time Trials. Unlock the Soul Reaver … Complete the game 100%. This entry was posted on Sunday, August 20th, 2006 at 3:44 pm	and is filed under Addicting Games. You can leave a response, or trackback from your own site. 3 Responses to "Tomb Raider: Legend Cheats and Cheat Codes for PC, Xbox 360, Xbox, Sony PS2 and Sony PSP"
where should i enter those cheat codes for tomb raider legend.? i think i tried everything. during the game, after presing pause and so on. so where, how??? please please help. me too! im so confused im stuck on england someone help me pleaseeeeeeeee!!! !